The Economic Development Board organised a business forum and networking event at the Intercontinental Hotel at Balaclava on Wednesday 24th October under the theme “Mauritius-United Arab Emirates: Embarking on a New Economic Collaboration.” A business delegation from the UAE led by H.E. Humaid Mohamed Ben Salem, Secretary General of UAE Federation of Chambers of Commerce and Industry, was present. There was also a Business to Business (B2B) networking after the event. The objectives of this event are to provide a unique opportunity to showcase investment opportunities in both countries, act as a Business-to-Business platform and further consolidate economic ties between the two countries. Francois Guibert, Chief Executive Officer, Economic Board Development, in his introductory note, evaluates the investment from the UAE in the Mauritian economy. “The main investments focus on real estates, manufacturing, and the hospitality industry and business services.” He explains that the private equity flow structure for the business global sector between the two countries ranged over 10 billion dollars in 2016. 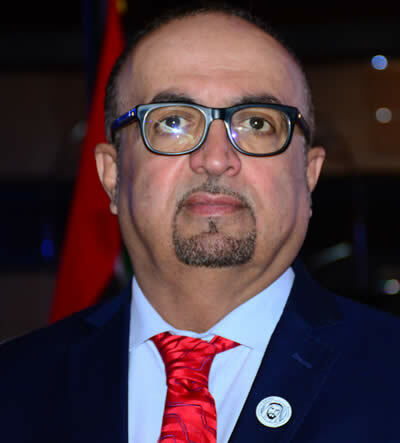 “It is important to highlight the fact that we have over 14 scheduled weekly flights connecting Mauritius to UAE through the Emirates Airline. Today, Emirates is the second biggest carrier connecting to the world after our national carrier, the Air Mauritius,” he highlighted. The implementation of the UAE of projects around the world is exemplary. He is thankful to the UAE for having extended its cooperation and technical support to Mauritius after ensuring that Mauritius is a strategically located island in the Indian Ocean. 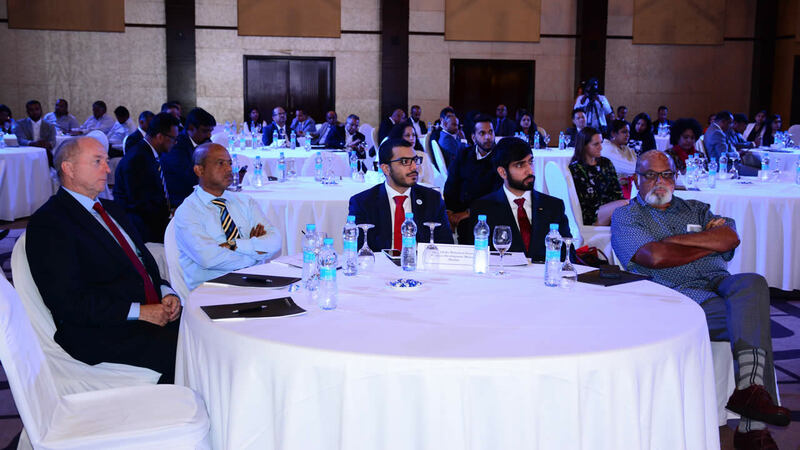 Marday Venkatasamy, the president of the Mauritius Chamber of Commerce and Industry, pointed out in his address that Dubai has been a long standing partner of Mauritius on a number of economic and trade issues. “We imported approximately 100 million of USD worth of goods from Dubai and exported approximately 50 million USD of goods in 2017,” he highlighted. It has also been observed that there is a gross diversion in investment from Dubai of nearly 50 million USD in the two last years, mainly in the manufacturing sector, business services and real estates. He adds that there is a significant potential for further collaboration between the two countries. “We have signed over the last decade both a Double Tax Avoidance Agreement and Investment promotion and protection agreement which has translated in more than 10 billion USD of investment flows between the two countries,” explains Marday Venkatasamy. For him, it is a remarkable feat and can be further explored, as there is real potential for Mauritius to collaborate especially while investing and expanding in the African market. A strong collaboration and synergy between a Middle Eastern hub Dubai and an African hub, Mauritius according to him, can turn the country into an extensive source of development for the region providing commercial and business opportunities. “Being one of the most business friendly little stations in the region, Mauritius has the potential to become a game web for businesses from the Middle East and the UAE to invest in the country,” he explained. As Mauritius aims to graduate towards a high income, innovation-driven economy by 2030, it will need the support of such countries like the UAE in terms of technological offerings and IT protection. According to him, one of the central aspects of the global economy is connectivity. As Mauritius expands its passenger terminal capacity to achieve 8 million passengers annually, the country has the potential to become a strategic hub linking the three continents: Africa, Europe and Asia. “We need to exploit this geographical competitive advantage and evolve from our traditional point tourism to become a strategic platform for business and tourist transit. MCCI highly recommends the Government on the investment impetus given to the port, culminating the deep water key, which will put Mauritius in a unique selling position. It will be the only port in the Indian Ocean with such a capacity,” he explained. Humaid Ben Salem, Secretary General of UAE Federation of Chambers of Commerce and Industry, highlighted the importance of the networking events and this platform where businesses from both countries can enjoy benefits. “This conference is to realise the ambition and an aspiration of two countries to reach a horizon of investment. This will add to the opportunity for the countries to do business together,” said Humaid Ben Salem. He adds that the UAE is recognised today as a major business hub in the Middle East and has become an attractive destination for major international investments. The UAE has been ranked first as the most competitive country in the region and second in the world. The value of trade exchanged between the two countries in 2017 amounts to about 95.7 million USD. The Secretary General of UAE Federation of Chambers of Commerce and Industry, H. E Humaid Mohamed Ben Salem, is keen on creating ties pertaining to business prospects. He also appraises the position of Mauritius as a gateway to Africa, a platform that the UAE intends on using. What kind of cooperation can we expect from the setting of a joint committee for the two countries? More forums, more communities like this between the two private sectors that give, take and show opportunities for business communities from both countries to see what are the real opportunities happening and have more joint ventures, more investments. The more they meet and discuss, the more business they do. In terms of investment, in which sectors does the UAE intend to invest in Mauritius? We are giving the private sector the opportunity to invest. Undoubtedly, they will invest in things that are beneficial for both of them. Personally, I think real estate and tourism are a very good fields for investment. Will the UAE act as a platform for Mauritius to penetrate nearby markets in the Arabian Gulf? We will be a platform not just for the Middle East or the Arab Gulf but also for all the markets that we have access to. Mauritius can use the UAE as a medium to export their products to other countries. Many countries see Mauritius as a gateway to Africa. Will the UAE follow the same trend? Of course, Mauritius is a gateway to many countries and by having lots of direct flights between the UAE and Mauritius, we can use that to export from Mauritius to UAE and vice versa and other countries. What are the job prospects for young Mauritians in the UAE? There are lots of job opportunities, particularly in the tourism and technology sector in which young Mauritians are very good. The UAE resolves to provide a first-rate education system, and revolutionise education, in every possible approach, including how it is made available, its quality and efficiency and the very meaning of education itself. Complementing the UAE Education strategy, the soon to be launched UAE’s blueprint to advance artificial intelligence (AI) in the field of education, opportunities will be created with magnitude and proportions not yet known to man. In parallel, various UAE entities are also paving the way to a transformative education, by introducing research and technology centres, among others. To name a few, the American University of Sharjah Research, Technology and Innovation Park champions Sharjah’s efforts to foster innovation, encourage entrepreneurship and develop a sustainable knowledge economy. The UAE is set to conquer new frontiers, including fully utilising the power of Artificial Intelligence (AI). In the nation’s journey to the future, it will deploy AI technology, while also affording the UAE to be the first in the field of AI Investments in various sectors, all of which not only attract the most brilliant minds and innovative ideas for business, they will also reshape the market and reinvent investment channels. The space Industry has an estimated global market value of USD 300 billion and an 8% per annum projected growth. Carving a new market, the space sector is also setting groundbreaking demand and indeed investment opportunities. Amplified by the determination of the UAE to strengthen its reputation as a leading industrial hub, as manifested by a record-high of 6,301 industrial establishments across the seven Emirates of the UAE and an overall investment volume of USD 35 billion as of 2016, the sectors of industrial, manufacturing and basic industries are not only poised for further growth in the coming years. Contributing 8.5% to the UAE GDP in 2016, the manufacturing industries subsector is expected to yield a healthy growth rate, to about 15% of the UAE GDP by 2021. 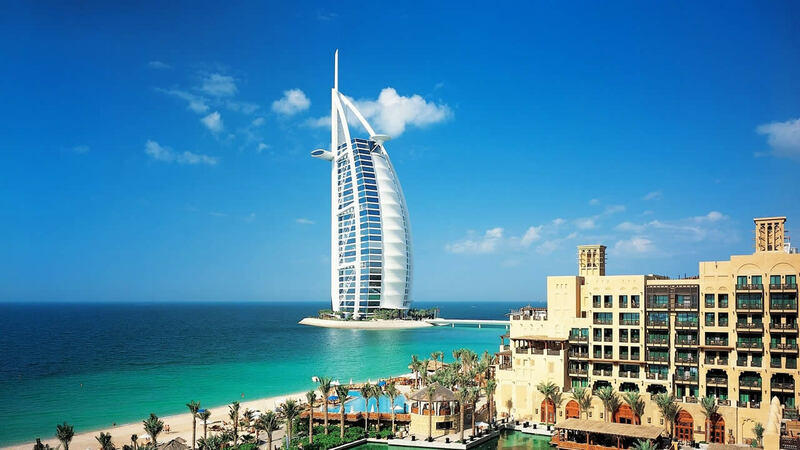 The tourism sector is a key driver of the UAE economy. With the strategic geographical location of the country and its world-renowned infrastructure, travel and tourism is a natural focus of the immediate and long-term development plans of the UAE. It is also a benchmark put in place by the UAE government to strengthen UAE soft power, reinforcing the position of the UAE as a gateway to the region, and a capital for culture, art and tourism. The total contribution of the travel and tourism sector to UAE GDP is impressive: an effective catalyst of growth, this is projected to rise to 10.6 % of UAE GDP by 2028, overtaking many sectors, in terms of growth. The hospitality industry alone is already gearing up for the annual and steady increase of visitors in the country. Abu Dhabi, for example, had set out to intricate infrastructure development plans in its urban planning process to accommodate 7.9 million tourists annually by 2030. The Urban Structure Framework Plan 2030 was unveiled to ensure a revitalised Abu Dhabi, to manifest its role and stature as a capital city. Alongside the state-of-art infrastructure seaport and land transport systems, as well as the ultra-modern and eco-friendly residential, business and industrial sectors to be developed; around 74,500 hotel rooms also are part of the long-term plan. The UAE is a popular choice for leading international brands, including restaurant franchises. In Sharjah, with projections of 313 million USD in revenue by 2020, the sector is deemed underserved, with a strong demand for all types of new food and beverage facilities, including fast-food outlets, fine-dining restaurants and coffee shops.